The Lovely Sparrows have always been a transmigratory band. What started in the 00’s as a ragged combination of Sonic Youth fuzz and Guided By Voices verbosity has blossomed over the years into a homespun, obtuse project for Austin-based songwriter Shawn Jones. Following the release of the Take Your Hats Off You Godless Bastards 7”, Jones released the debut Lovely Sparrows EP, Pulling Up Floors, Pouring on (New) Paint, on Abandoned Love Records to wild acclaim. Follow up full length Bury The Cynics gathered praise from Pitchfork, Rolling Stone, Spin, Paste, and Billboard. Lengthy touring and notable stops along the way included Pop Montreal, CMJ, La Blogothèque, and Daytrotter. 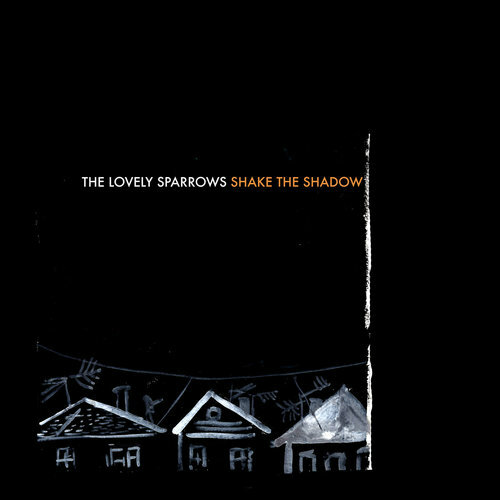 The Lovely Sparrows second LP Shake the Shadow arrives this November after a seven year hibernation. A delay largely in part to Jones’ exodus from Austin to the woods just outside of Lockhart, TX- to rebuild an old house, and regain his bearings. During this time, Jones quit teaching, returned to grad school to pursue Music Composition- and immersed himself in the works of Bartok, Eno, Ives, and Reich while simultaneously co-developing a magical realist video game. The songs, in turn, became looser, more of a sound collage than before, as a reflection of these blurring influences and tastes. Shake the Shadow is an album of dualities, and Jones casts himself as both believer and skeptic throughout. Once again, Jones asks: “is there any real magic?” References to the Church of the Night, reclusive animals, and the neon carnival glow of impossible highways reveal this longing to pull back the curtain in a Houdini-like search for the spark beyond the void- a moment of true connection, or of finally feeling settled, if temporarily- that are often only revealed in the quiet rituals of the mundane. Has Jones Shaken the Shadow? No. But he’s getting closer.